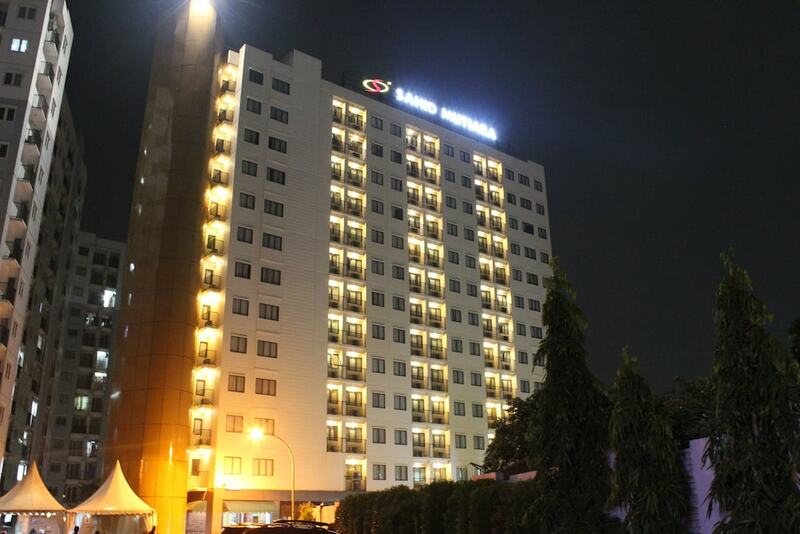 Located in the heart of Curug, this hotel is 1.1 mi (1.8 km) from Siloam Hospital and within 6 mi (10 km) of Summarecon Mall Serpong and Scientia Square Park. Indonesia Convention Exhibition and Omni Hospital are also within 9 mi (15 km). This hotel features a restaurant, 24-hour room service, and dry cleaning. Free WiFi in public areas and free self parking are also provided. Additionally, a 24-hour front desk, a front-desk safe, and ATM/banking services are onsite. All 198 rooms offer free WiFi, 24-hour room service, and flat-screen TVs with cable channels. Other amenities available to guests include coffee makers, free bottled water, and showers. The hotel offers a restaurant. Wireless Internet access is complimentary. This business-friendly hotel also offers dry cleaning/laundry services, 24-hour room service, and a safe deposit box at the front desk. Onsite self parking is complimentary. Sahid Mutiara Karawaci has designated areas for smoking. Singgalang - This restaurant specializes in international cuisine and serves breakfast, lunch, and dinner. Open daily. Start your morning with a buffet breakfast, available each day from 8 AM to 10 AM for a surcharge. Room service is available around the clock.